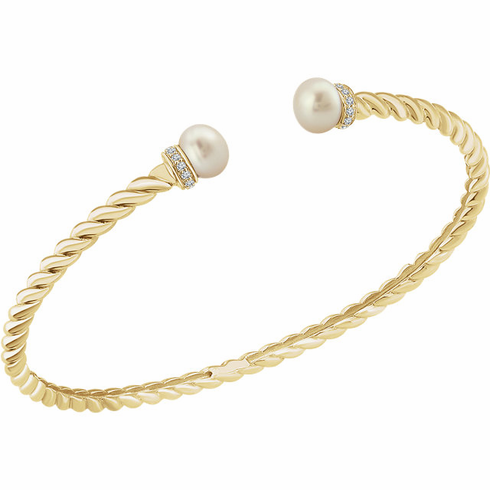 14k yellow gold bangle comes set with (2) 6.65-7mm round pearls and (18) 1.1mm round diamonds. The bracelet inner circumference fits a 7 inch wrist size. The gold weight is 12.01 grams.